All around the country, August has become the new September – at least for families with school-aged children. As back-to-school preparations get into full swing, there is no better time to honor Children’s Eye Health and Safety Month. 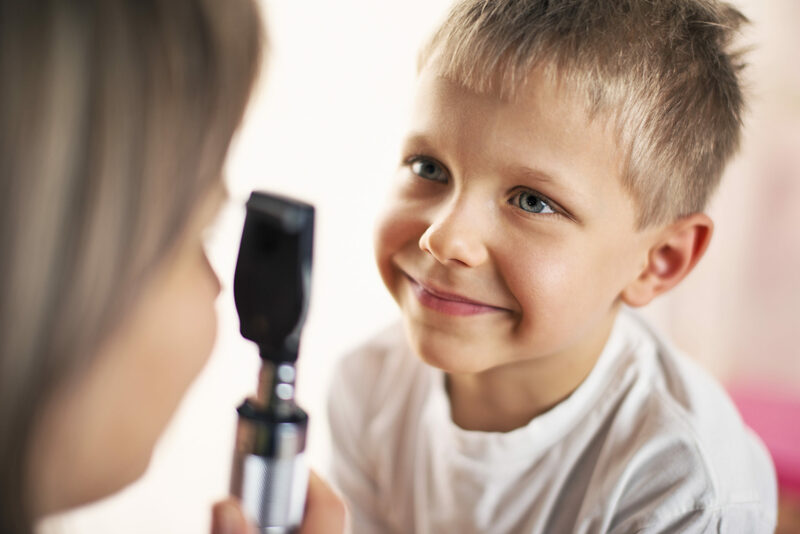 If the summer has passed by in a blur, now may be a great time to contact your local eye doctor to arrange eye exams for the kids in your life. Ptosis, or a drooping eyelid. There is a history of childhood vision problems in your family. Your child seems disinterested in observing objects at a distance and in reading, coloring, or performing other up-close tasks. Your child tilts his head when watching television. Your child’s eyes appear to be wandering or crossed. August is Children’s Eye Health and Safety Month. Therefore, we also should mention that children who will participate in sports this coming school year should be taught to wear protective glasses. Children’s toys should also be carefully selected and maintained to avoid any sharp points that could injure the eyes. More than 40,000 childhood sports injuries occur each year. Protective gear is essential for players of all ages. Roholt Vision Institute supports families in the protection and preservation of optimal eye health. Contact us in North Canton, Canfield, or Alliance for information on our eye services.